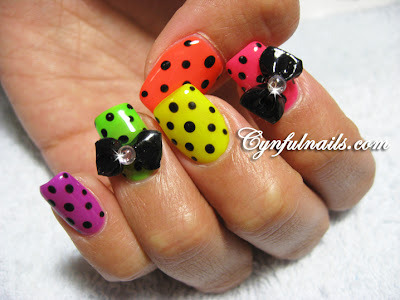 Cynful Nails: Some funky nail designs. Hot pink and black combination. hello ! I really love all whjat you do ! it's always so girly ^^ As Susan Glam asked you , i'd like to know the n° of the plate you use for your different lace if it's stamping?